﻿ Best Price on Foote Prints on the Sands Hotel in Negril + Reviews! 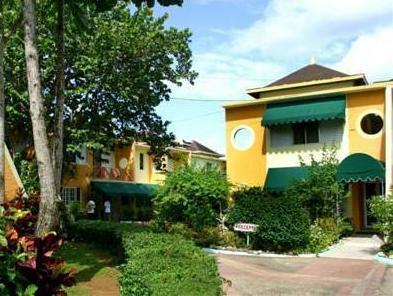 This Negril, Jamaica hotel is located along the famous 7 Mile Beach. Its tour desk staff can arrange a variety of activities, including snorkeling, deep-sea fishing, and scuba diving. Each colorful room features a balcony with a view of the ocean or the garden. Foote Prints Hotel rooms also include free Wi-Fi access and cable TV. The on-site restaurant at Foote Prints Hotel, Robinson Crusoe, serves Jamaican and international cuisine for breakfast, lunch, and dinner. Also on-site is the Man’s Friday Beach Bar. Guests can get a massage at the spa or relax in the hot tub at Foote Prints Hotel. The hotel also has an on-site gift shop and a library. Montego Bay Airport is 50 mi from Foote Prints Hotel. Downtown Negril is just 0.9 mi away. It was great, I felt safe and sercure. The staff was always friendly and helpful.